Bioremediation Assignment! - AP Environmental Science! Phytoremediation: It's used for plants that mitigate the environmental problem without the need to excavate the contaminant. 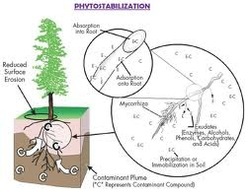 Phytostabilization: Involves the reduction of the mobility of heavy metals in soil. Immobilization of metals can be accomplished by decreasing wind-blown dust, minimizing soil erosion, and reducing contaminant solubility or bioavailability to the food chain. 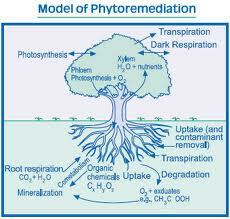 Phytodegredation: Organic compounds can take place inside the plant or within the rhizosphere of the plant. 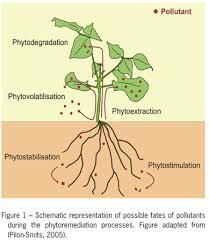 Phytoextraction: The heavy metals that plants extract are toxic to the plants as well, and the plants used for phytoextraction are known that sequester extremely large amounts of heavy metals in their tissues.